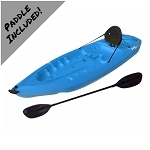 Start kayaking in style and comfort with this blow-molded high-density polyethylene (HDPE) plastic. The 90111 Lotus features and 8-foot long sit-on-top hull. Made in the USA from US and imported parts, this kayak provides comfort through molded seat and included backrest and several molded footholds to help accomodate riders of different heights. Each kayak includes a unique identification number usually on the back of the kayak. Each kayak includes a manufacturer certificate of origin. Includes a 1-year factory warranty from Lifetime Products. 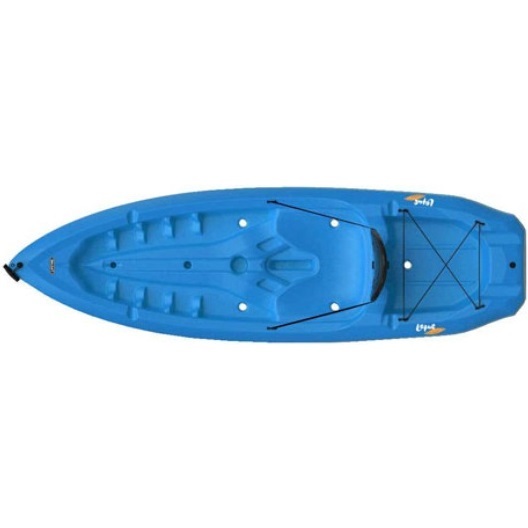 This blue Lotus kayak includes the kayak, molded handle for easy carrying, and a backrest. This kayak model does not include a paddle. 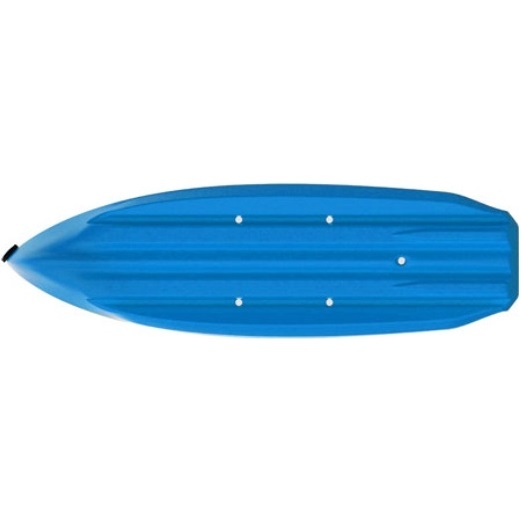 Flat-bottom design is good from flatwater recreation. Hull material of construction: high-density polyethylene (HDPE) plastic. Molded paddle cradle for resting the paddle. Built-in scupper holes help drain water. Cargo area with shock cords to help store items. This kayak is Made in the U.S.A. from US and imported parts. Includes 1-year warranty from Lifetime Products. Kayak weight: about 38 lbs. Kayak width: about 30 inches. Kayak height: about 9 inches. Q: Do I need to be present for the delivery? A: Yes. A signature is required for this type of delivery. Delivery appointments are scheduled with the freight company before delivery is attempted. You can either wait for the freight company to contact you, or you can contact the freight company once you have the tracking number to schedule the appointment. Q: Can I use this kayak on rough waters? A: A flat-bottom kayak, like this 90111 Lotus kayak from Lifetime Products, is best used on flat waters. It is meant for beginning and intermediate level kayaking, which typically means it is best used on flat, calm waters such as a lake or pond. Regarding Shipping. 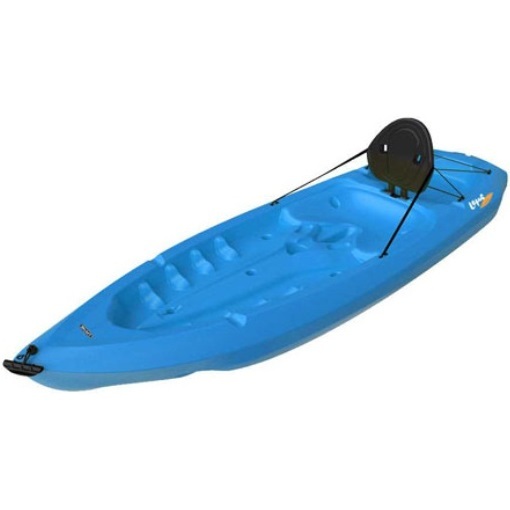 Orders for this kayak generally leave the warehouse in Clearfield, Utah within 2 business. Delivery of this kayak is through an ltl freight carrier for a curbside delivery. This type of delivery requires the customer to be present to sign for the delivery and to move the product wherever needed on the property. Delivery appointments are scheduled with the freight company before delivery is attempted. Please note that the driver will not assist in moving the product. Dimensions: 96 inches x 38 inches x 9 inches. Dimensions: 96" x 30" x 9"